Jamaica is a great tropical location for a Caribbean honeymoon, vacation, or wedding. The island offers a large selection of all inclusive resorts at all different levels of accommodations and price points. Another advantage to vacationing in Jamaica is the amount of flights from the US and UK to this Caribbean island. Jamaica is just a few hours away from Atlanta GA., allowing you to be in paradise at just a moments notice. 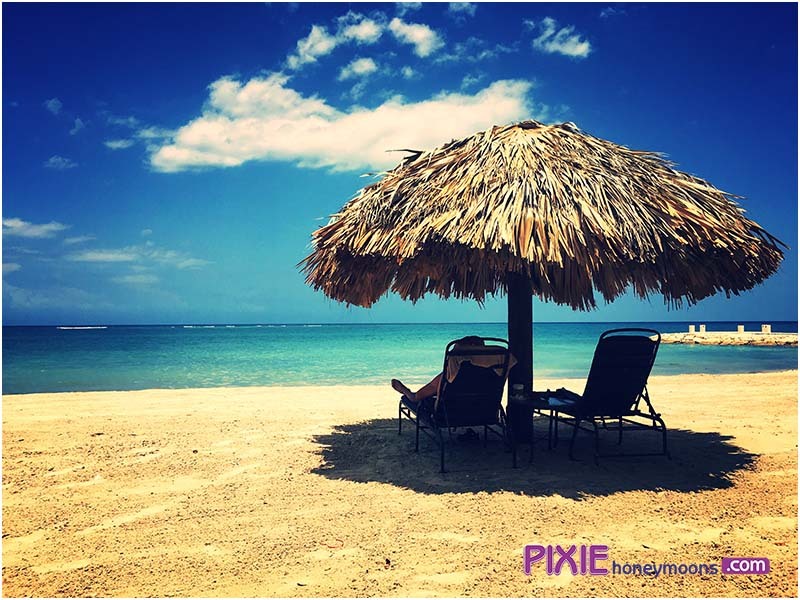 When booking with your Pixie here at Pixie Honeymoons, you might want to consider Club Mobay. What is Club Mobay? It is a VIP service that allows you to “fastpass” your way through the Montego Bay’s Sangster International Airport. Many people wonder if this service is “worth it”. We flew to Jamaica to try Club Mobay ourselves and also had 15 other Pixie try Club Mobay first hand. It’s Excellent! Please read my Club Mobay review and I am happy to answer any questions you might have.